For those of us with a tendency toward motion sickness, doing anything other than sitting in the car can be a bit of a challenge. (I’m writing this article on my laptop in the car and it’s quite the task.) In an effort to help my fellow sufferers, I’m going to share a few of my tips for dealing with and preventing car sickness on a road trip. 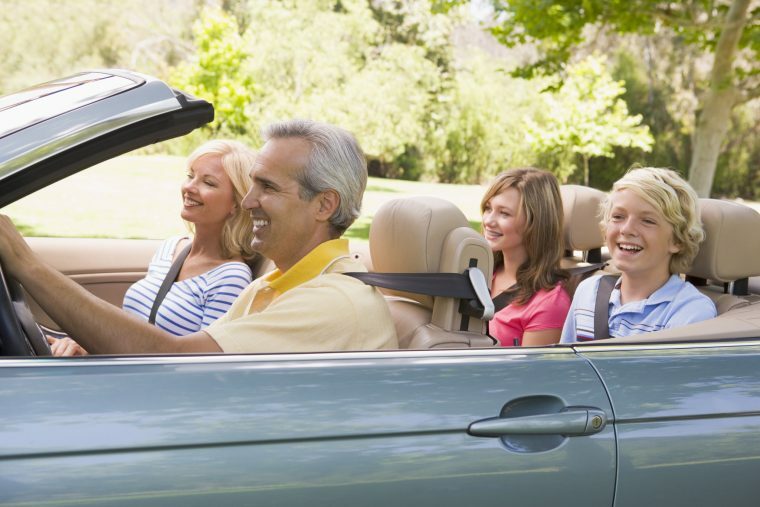 If you already know getting into the car that you have a tendency toward serious motion sickness, consider a preventative medicine like Dramamine. These motion sickness medicines can help prevent your nausea altogether. But they may make you drowsy, so avoid taking them if you’re behind the wheel. Trade-In: How do they determine the value of my car? Make sure you have some water in the car to sip on, but avoiding chugging any massive amounts of liquid that could upset your stomach. Also, keep your snacks light and healthy. If you eat a large, greasy drive-thru meal and then hop in the car, your already-flipping stomach will definitely not agree with you. If you are trying to read or write in the car, take periodic breaks. For example, as I write this article, I’m looking up at my surroundings and watching the road between sentences. This way, my body remembers we are still moving. If you can, opt for the front seat. If you begin to get car sick, it helps to look out the window (and crack a window if it’s not too cold). By paying attention to your surroundings, your body will become more accustomed to the moving vehicle—and by sitting up front, you have more window space to look outside. If your car sickness is really severe, avoid reading or writing at all costs. Instead, try listening to podcasts or an audiobook to pass the time. This will keep your brain occupied without forcing you to look down and aggravate your motion sickness.